US employers added 304,000 jobs last month, beating out economists’ expectations by around 160,000. This is now the 100th consecutive month of job gains—more than eight years—and the longest stretch on record. 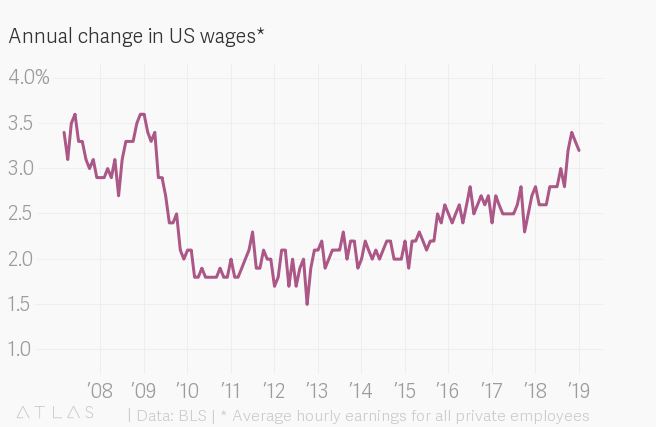 In fact, there were gains all around, with average hourly earnings also rising 3.2% from a year ago—though it’s a small rise after months of sluggish wage growth. Unemployment is still at its lowest point in decades. It wasn’t all such good news. 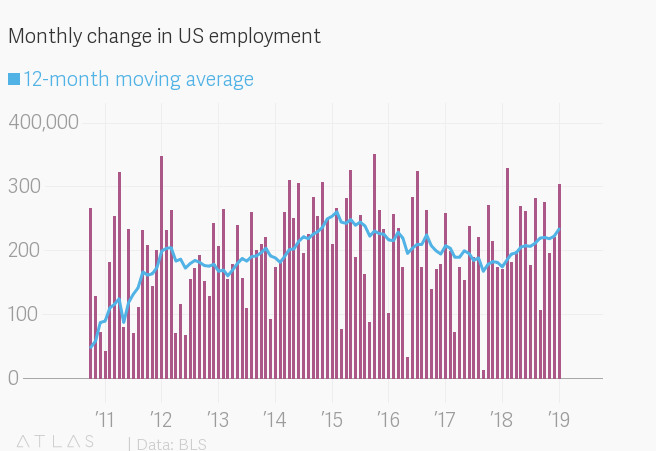 Annual revisions to the data revealed less effusive gains for December than originally thought—some 222,000 jobs, instead of the blue-ribbon 312,000 originally reported—though in the year overall, a total of some 36,000 more jobs since the start of 2018.